Few people would disagree that it takes an incredible amount of determination, time and training to become a healthcare provider. The continuing education required for such a professional is rigorous – that’s why healthcare organizations must utilize a training model that meets the high standards of heavy-duty course content. What type of training model does your healthcare organization use? Online learning saves money and time – Online learning eliminates the need for printing, making copies and purchasing the materials necessary for in-person training. This saves a trainer precious time, lowers the cost of education and contributes to a “green” company culture. eLearning gives learners freedom – eLearning gives a healthcare student the ability to complete courses anywhere, be it at home, on vacation or during a work break. With a cloud-based LMS that allows for mobile learning, an individual can access training materials anytime, anywhere, on any device with a web browser and access to the Internet. This saves the learner a tremendous amount of time and spares him or her the expense of driving to and from training sessions. LMS-based learning can be personalized – Learning management systems with learning path functionality give trainers the liberty to individualize courses and stay on top of grading, reporting, certification management, enrolling, and the like. A good learning management system can truly make a healthcare education instructor’s job easier. eLearning makes learners comfortable – Some medical students find it easier to participate in class discussions that take place online, as opposed to in a classroom. This may be because using a device to communicate provides a greater sense of anonymity. Healthcare professionals might be more likely to ask questions, volunteer answers and share resources in a setting that an LMS provides. It’s a safe assumption that many instructors who teach continuing education for healthcare providers experience quite a bit of training-related stress. After all, making sure professionals have the information they need to perform critical functions is serious business. Nevertheless, no matter how consequential a healthcare training program’s content is, the organization, delivery and management of that content should not be taxing to an instructor. With a little effort, a trainer using an LMS can unite a group of healthcare professionals by giving them a shared workspace where they can collaborate and ask questions. An LMS makes teaching difficult subject matter, simple. There are many learning management systems on the market, and it can feel overwhelming to have to choose one. The key to finding the right LMS for your healthcare organization is to search for an eLearning system with essential social learning features. Why? Because healthcare learners will find it useful to create groups, share calendars, host realtime chats, share media from all over the web, keep personal blogs, and establish direct lines of communication with trainers and fellow students. A winning LMS should have the social learning features healthcare students need and want. Not all learning management systems are equipped to handle healthcare training. However, the social LMS TOPYX is packed with tools to adequately train healthcare professionals and provide them with continued support. TOPYX’s intuitive user interface is inviting to learners who want to put their time and energy towards academic pursuits. Find out why healthcare organizations around the world love this learning management system. 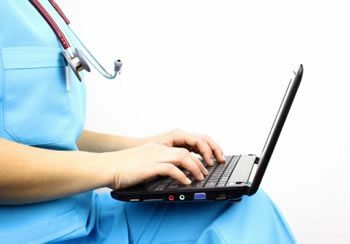 An excellent LMS can be a major boon to a healthcare organization. Not just that, but because of their ability to make a training program effective and comprehensive, learning management systems are becoming absolute necessities in the healthcare sector. What eLearning system will lead your healthcare organization into the future?